Clean and Minimal is the new trend. Do you like all those shiny, animated and complex website? No? Most people these days don’t either. So, you should start a website that is content focused. The visitors should find what they are looking for easily. The more straightforward your website is, the more effective your business pitching gets. Thus, more conversion and sales. 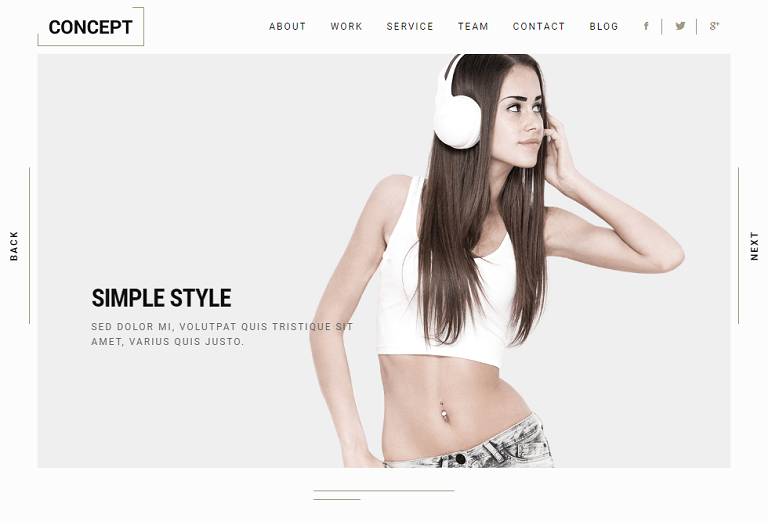 If you believe in clean, minimal approach like us, then you should use a clean and minimal WordPress themes. 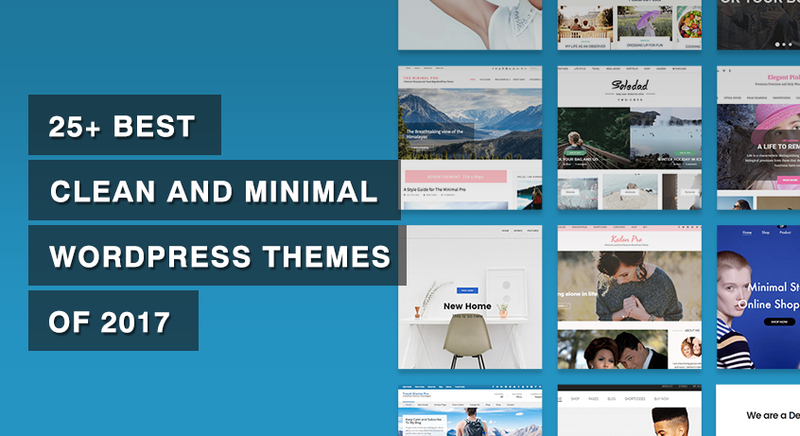 So, here’s our hand-picked list of best clean and minimal WordPress themes for your website. All these themes are search engine and mobile friendly so your website will get more traffic with these themes. Are you planning to create a blog with lots of content but want it to be present in a tidy way? Then, go ahead and use The Minimal Pro. 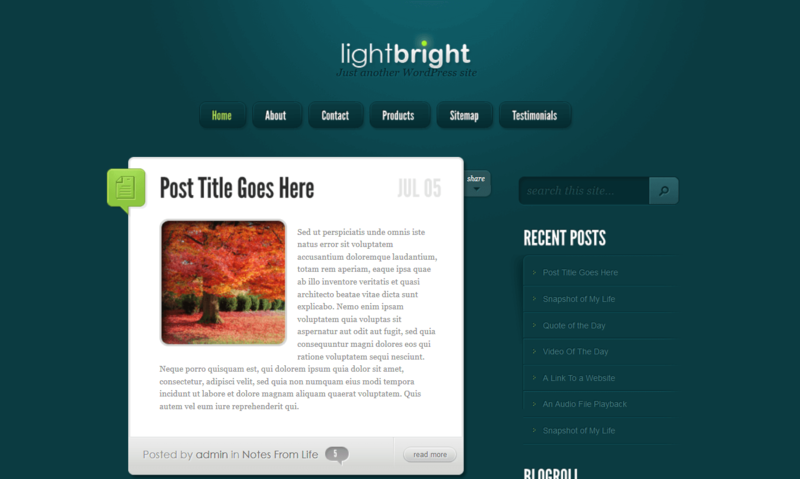 The theme will help you highlight your content for maximum user engagement. The Minimal Pro comes with inbuilt ad management system so that your ad and contents are well placed and thus, you maximize your earnings. SEO, responsiveness, and social media integration come out of the box. 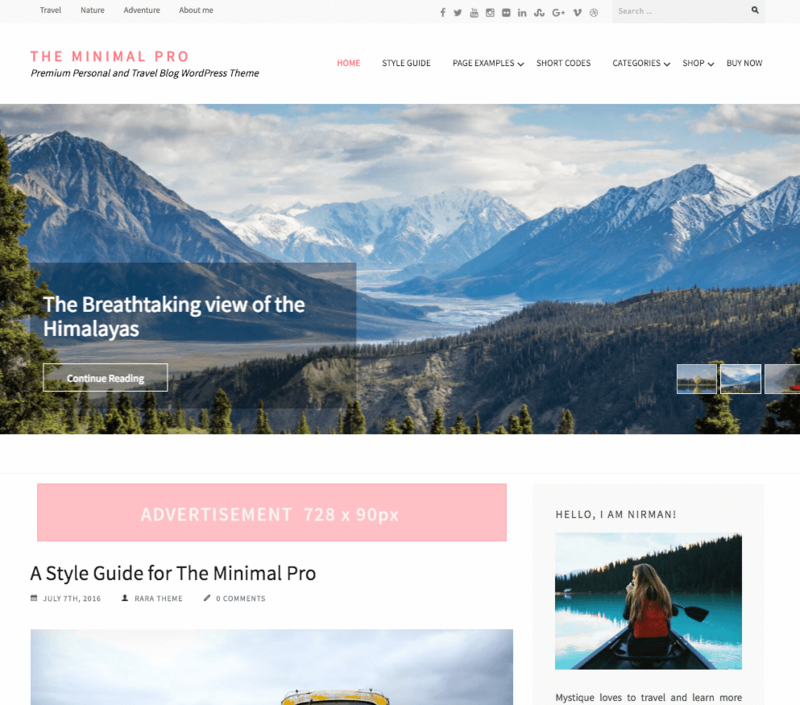 Also, the free version of The Minimal Pro is available for download. Elegant Pink Pro is simply clean and elegant. If you have just started blogging, your friends and visitors will just say “wow” when they visit your blog/website. 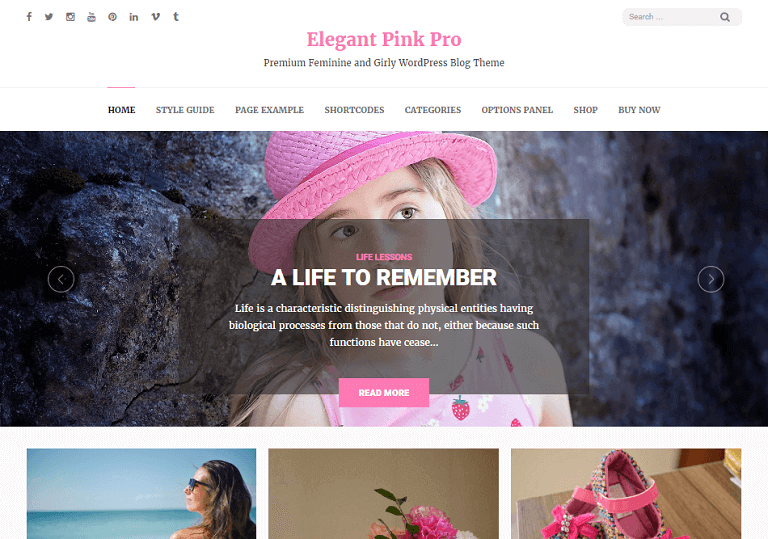 That’s the magic of the clean Elegant Pink Pro WordPress theme. 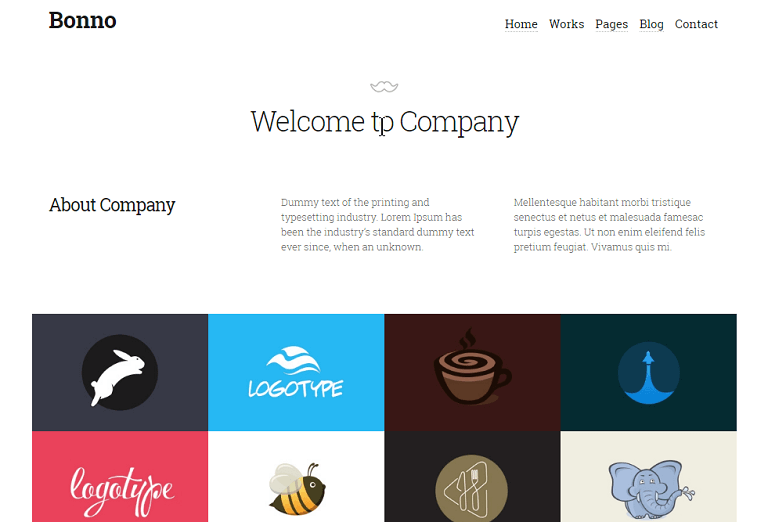 A WordPress theme should never be just about design! It should meet your requirements and should speak out your feelings and ideas through your blog. Also, there is an inbuilt ad manager! 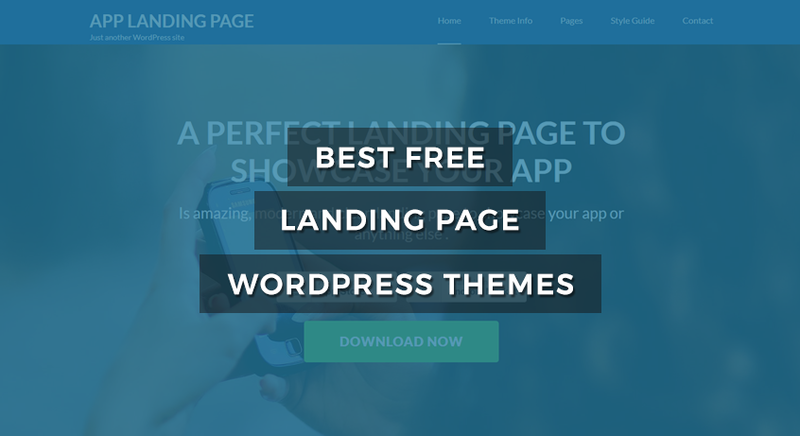 Try the free version for free first and surprise your visitors (some features might be missing in the free version). The theme also has a free version available if you want to try it first (some features might be missing in the free version). Also, the free version of Halcyon Pro is available for download. 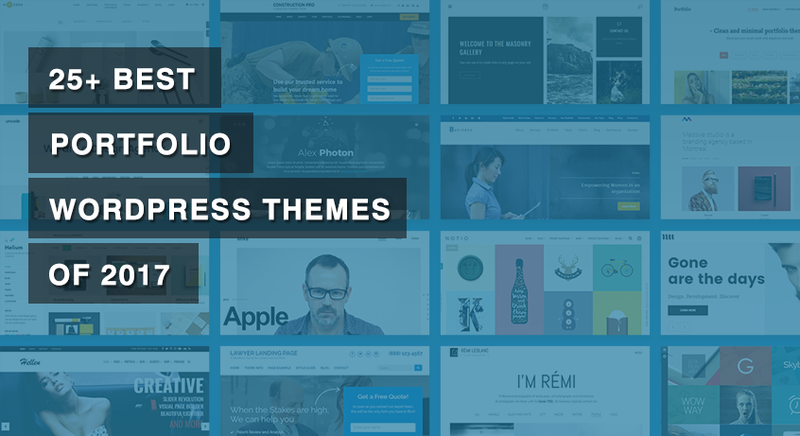 Kalon Pro is a feature-rich, responsive, and SEO ready clean WordPress theme. 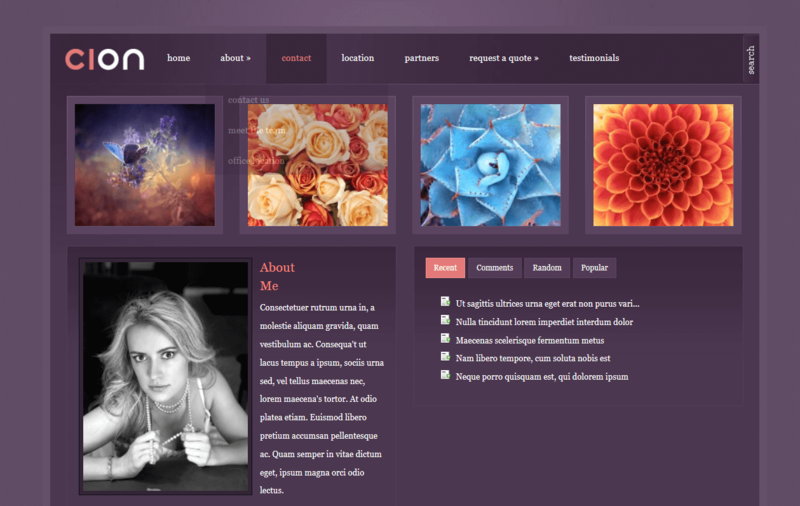 The theme offers flexible, intuitive and easy to customize options and is stunningly beautiful. You can use Kalon Pro for any type of website/blog. 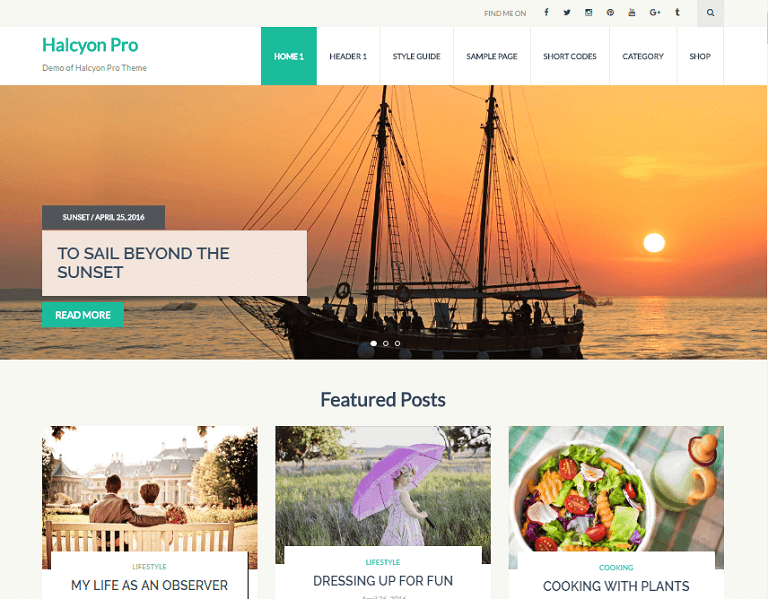 The Kalon Pro offers 6 home page layouts and 10 different header layouts so the theme can be used for personal blog, ecommerce website (Kalon Pro is fully compatible with WooCommerce plugin) or a business website in multiple languages (supports WPML and Polylang plugin). With try-it-before-you-buy-it-policy, you can download the free version of Kalon Pro here (some features might be missing in the free version). Also, the free version of Travel Diaries Pro is available for download. 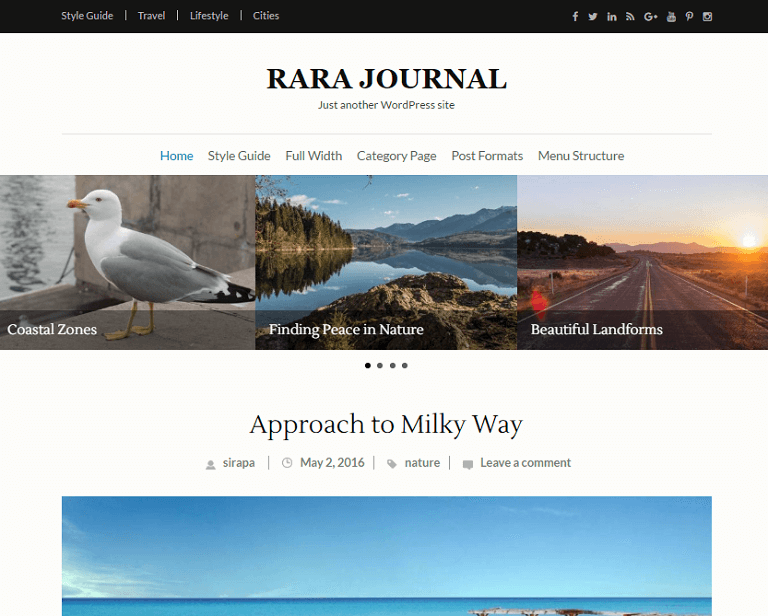 Rara Journal is a clean and elegant WordPress blog theme. It is perfect for food, storytelling, personal, travel, lifestyle blog, etc. It is responsive and adopts to various screen sizes, ensuring that your content is perfectly displayed to the visitors using tablets and mobile devices. 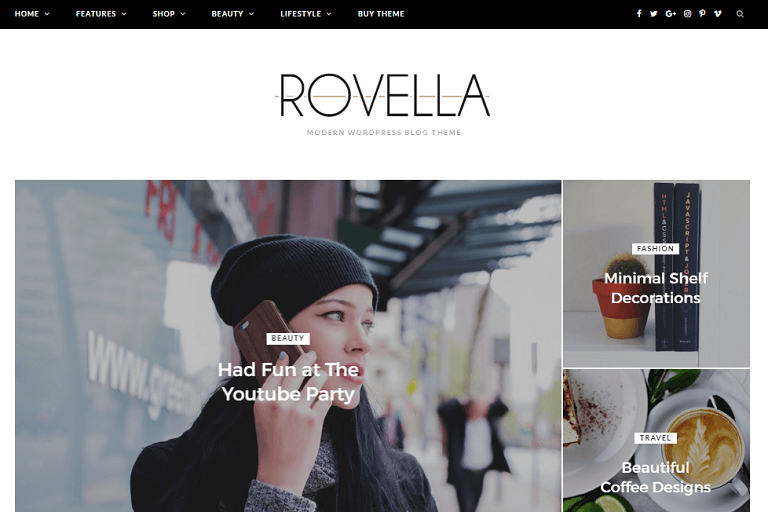 If you are looking for a clean and professional blog theme that compliments your visuals and also provides you ample space for text, Rara Journal is perfect for you. 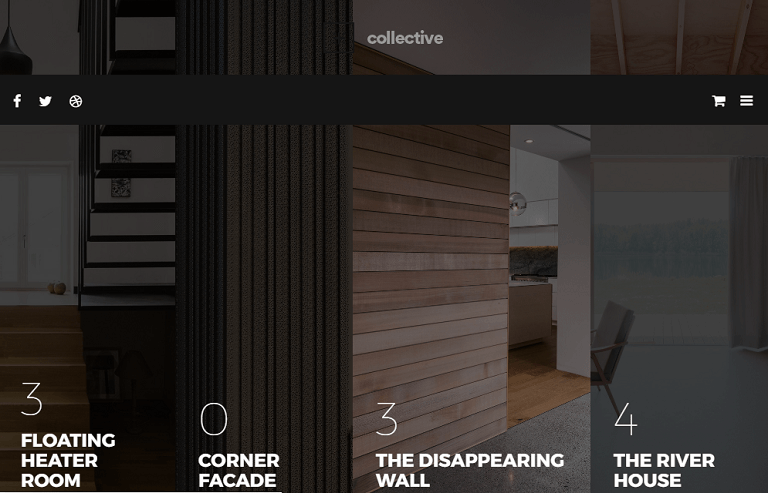 Origin is a stunning grid-based theme that tells a story through imagery. The theme creates a truly engaging experience by saturating the screen with your beautiful photos. 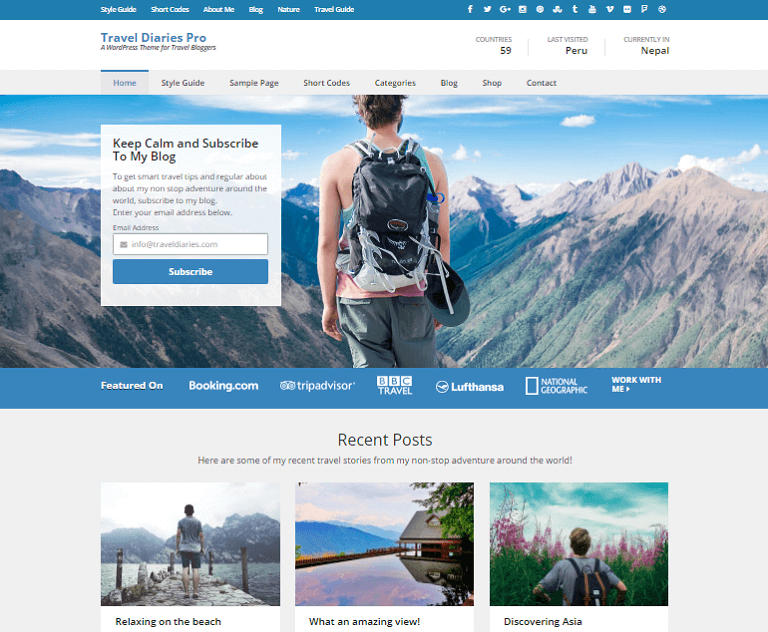 The theme is also responsive, meaning it will look and work great on mobile devices as well. 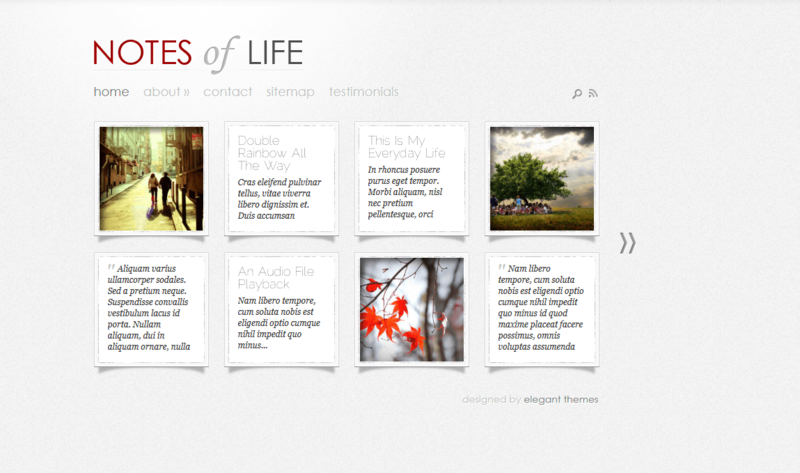 Memoir is beautifully simple and minimal theme that comes packed with character and style. 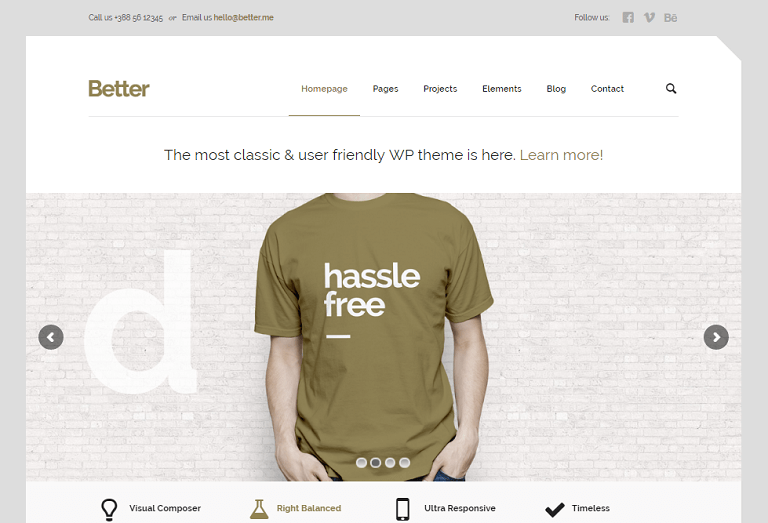 The theme gives you and your visitors the minimal feel. 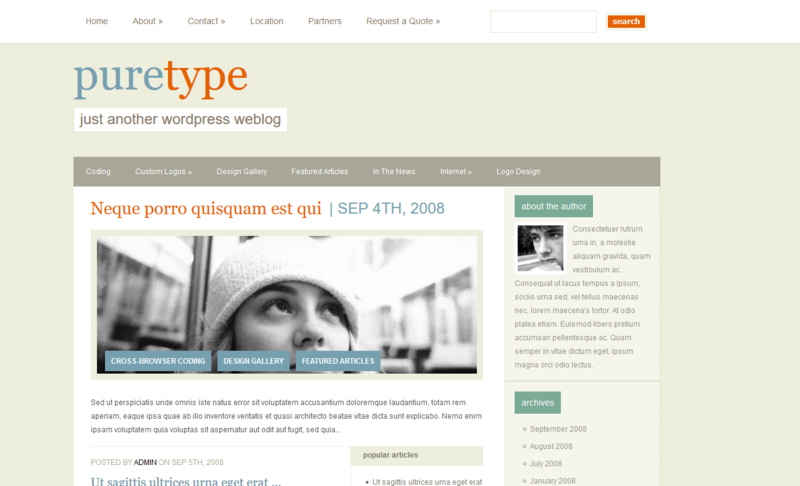 Pure Type is a clean and minimal WordPress theme for those people who just want to focus on the content. PureType comes with three widget ready areas, three unique color schemes, two layout options and more. Cion is great WordPress theme for anyone who wants to keep things simple while still maintaining a class appeal. PersonalPress is a great design for those looking to give their blog a fun and light hearted feel with not much modern CSS effect. 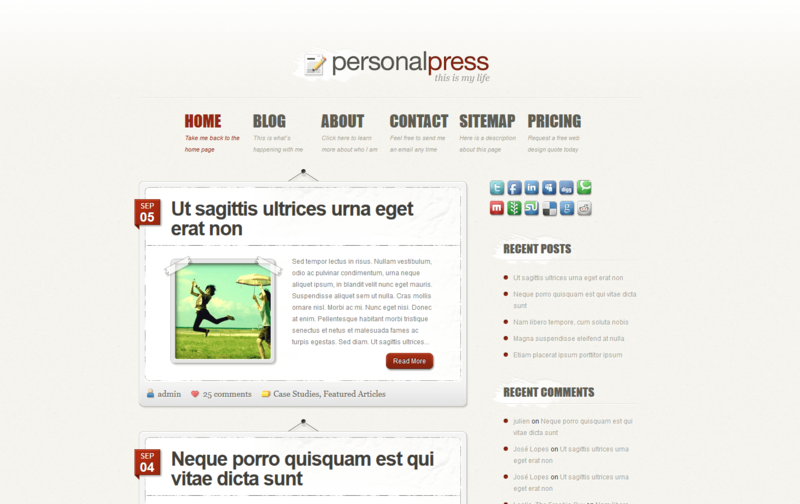 Plain and Simple blog, that's what PersonalPress is all about. DailyJournal's design is fun and endearing, and the personal feel is great for anyone who is starting their own blog. 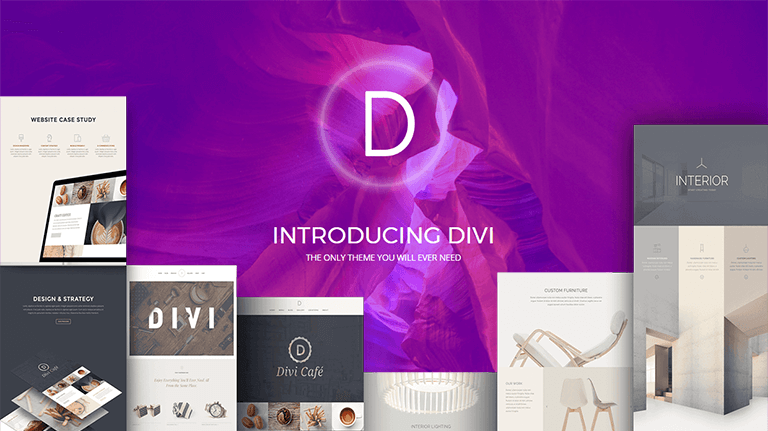 Start writing your ideas and show it to the world with DailyJournal minimal WordPress theme. LightBright makes it easy to share your daily life through its Tumblr-style post types. 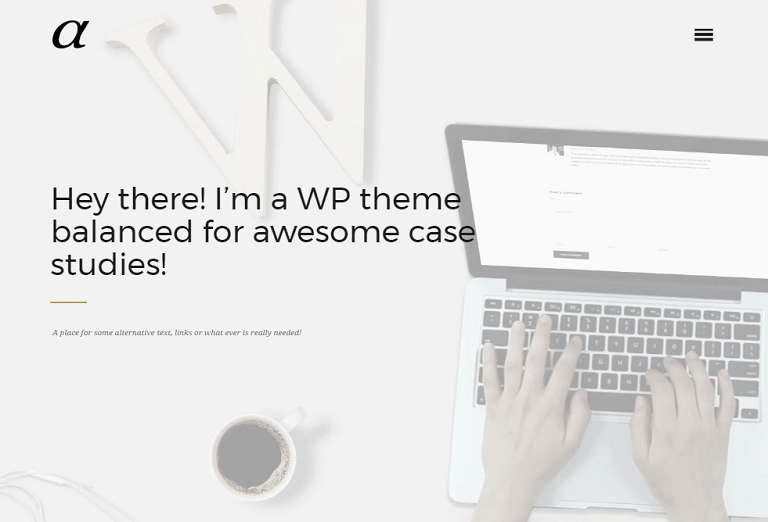 If you love the format of Tumblr but don't want to give up the versatility of WordPress, this is the theme for you. Daily Notes gives you a simplest and most elegant medium to share your daily life. 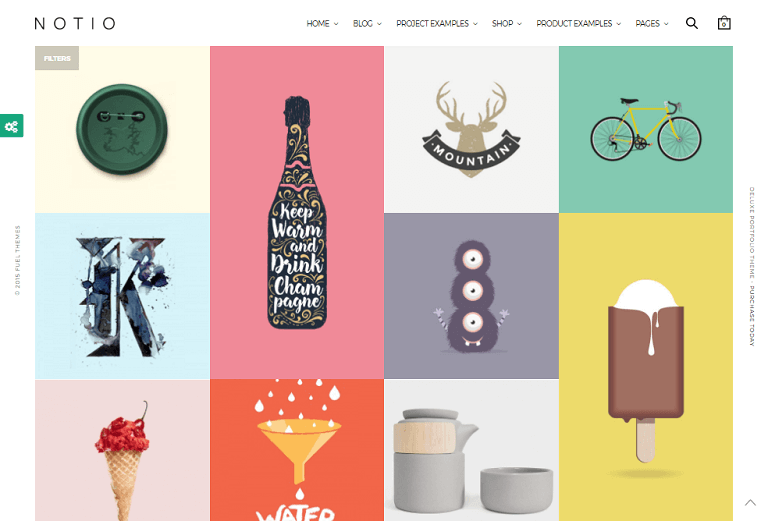 The theme is very minimal in its design and has been trimmed down to the bare essentials. For anyone looking to create a fun and inviting personal blog, DailyNotes will serve you well! 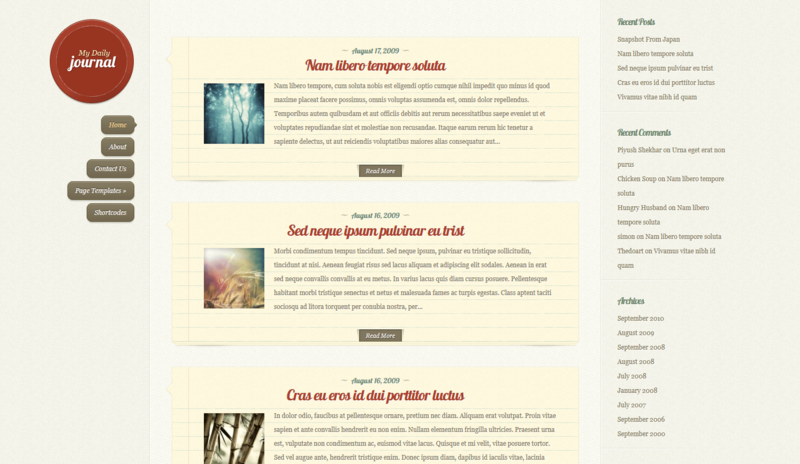 Notebook is a grid layout blog WordPress theme for sharing your creative ideas. It looks clean and minimal but will impress you and your visitors with the highly engaging design. 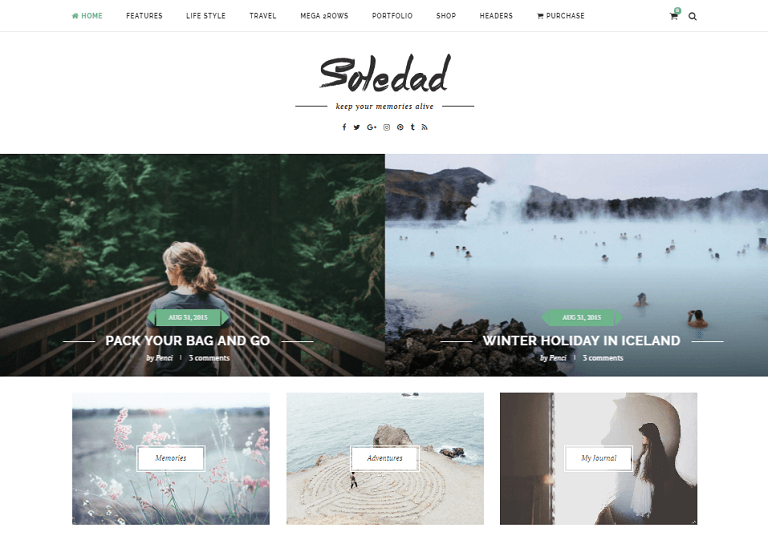 Soledad is a minimal and light with feature rich WordPress theme. 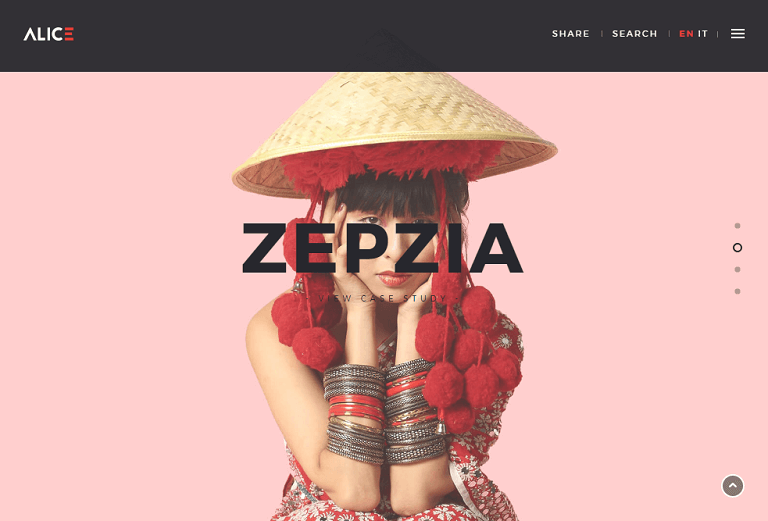 The theme comes with perfect combination of cutomizablility, design quality, flexibility, code quality, and fast customer support. 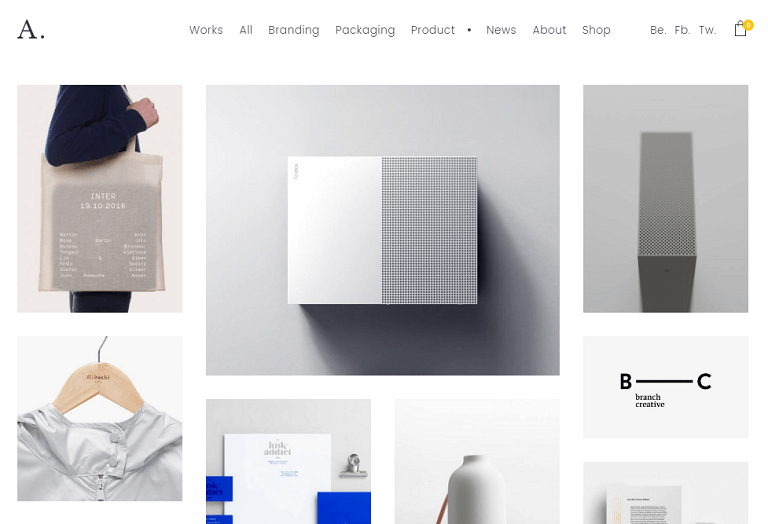 Alpha is a unique minimalist WordPress theme, carefully crafted to showcase your very best work. With a custom built slider, deep AJAX integration, smooth animations & fast loading times, Alpha is the perfect choice to amaze your visitors with a great browsing experience. 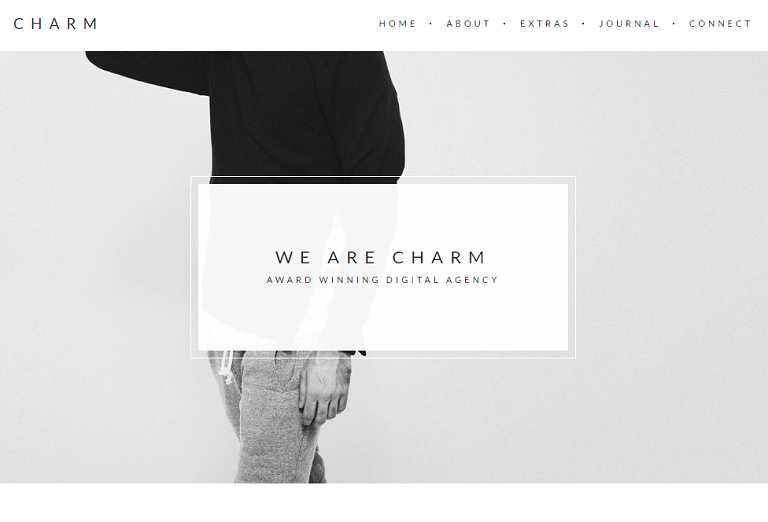 Charm is a minimalistic portfolio-style theme with an emphasis on typography and attention to detail. Show off your latest photos and videos in all their glory with the responsive portfolio grid. Write blog posts with the beautiful, minimal blog. 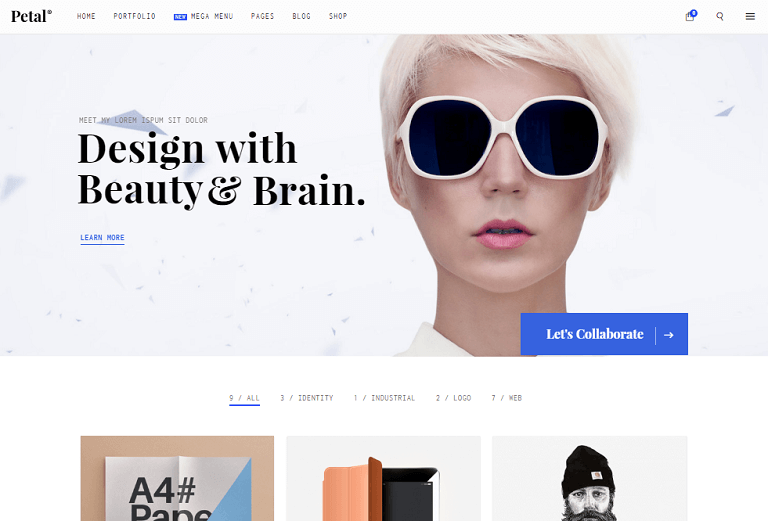 Collective is a clean and minimal design WordPress theme for agencies, graphic designers, freelancers, photographers, corporate businesses, illustrators and online shops. 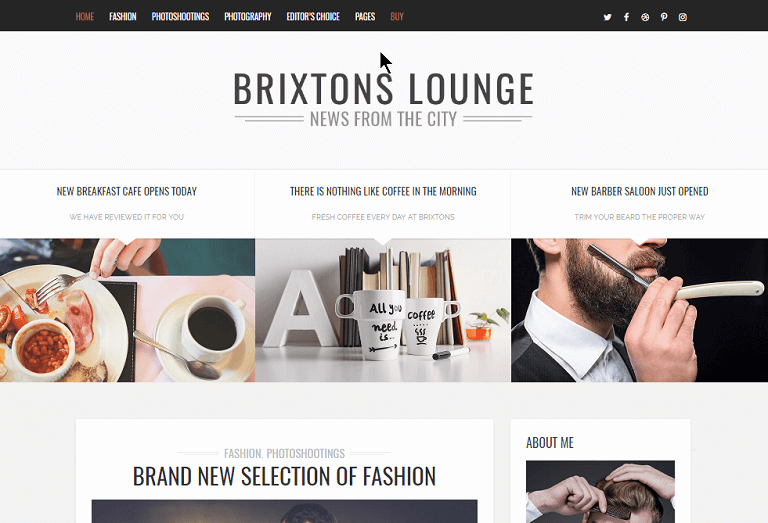 Brixton - minimalistic WordPress blog theme is the core of every good WordPress powered website. It all begins with storytelling. Brixton brings a unique style, loved by hundreds of happy customers! 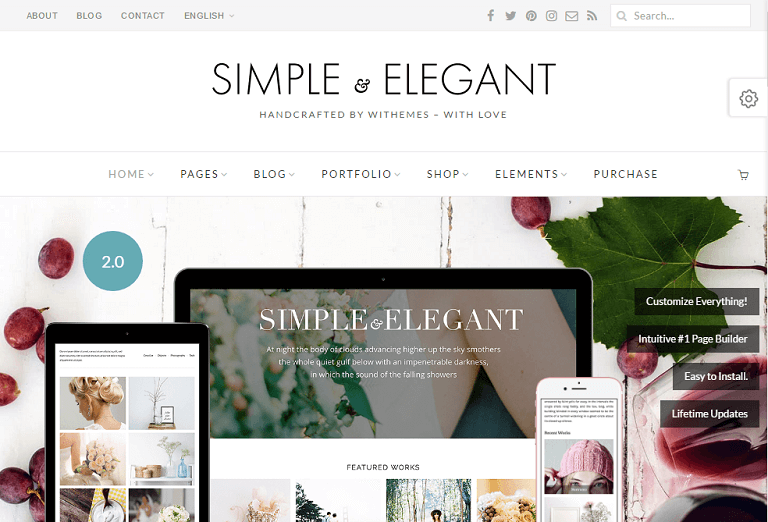 Simple & Elegant is clean and minimalistic WordPress theme. You can setup a shop to sell anything with Simple & Elegant. WooCommerce is totally free and is the most popular shop plugin for WordPress. 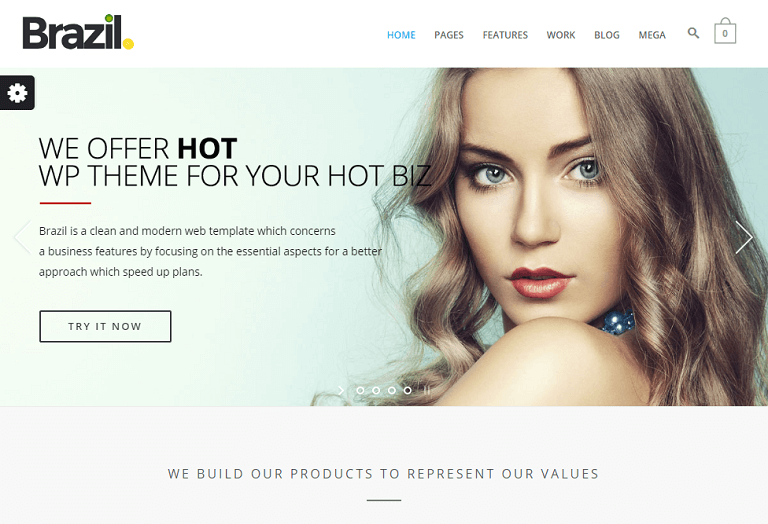 Bonno is a lightweight, responsive and minimalistic WordPress theme designed with simplicity and flexibility in mind. 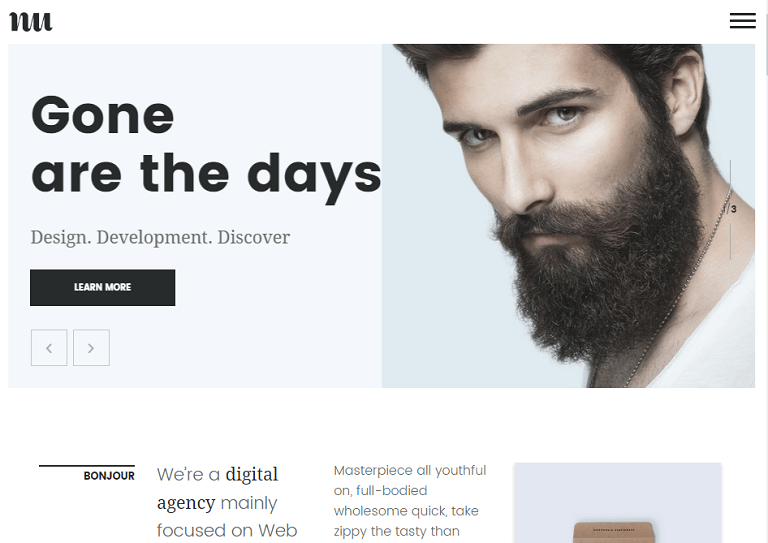 Bonno offers clean look and useful theme customizations, good shortcodes collection and a great tool to introduce you or your company to the world.